Out of all the characters in the book (of which there were MANY we were introduced to; too many in my opinion! ), Matthew Reynolds stands out as the most unique. It's easy to get excited about After Dark as we learn more about Reynold's character, but the rest of the novel is just not as engaging. The barrage of small details and new characters completely overwhelm the story in its entirety, and it is immensely easy to become distracted. The ending of After Dark is predictable, but satisfying. There's no need for me to reveal more; no need for spoilers. 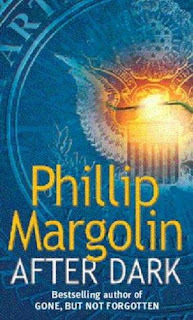 My favorite book by Phillip Margolin so far has been Sleeping Beauty (2004), and I recently read The Associate (2001) which was also enjoyable. Margolin's latest novel is Supreme Justice (2010).